in partnership with St. Mary’s Episcopal Church. 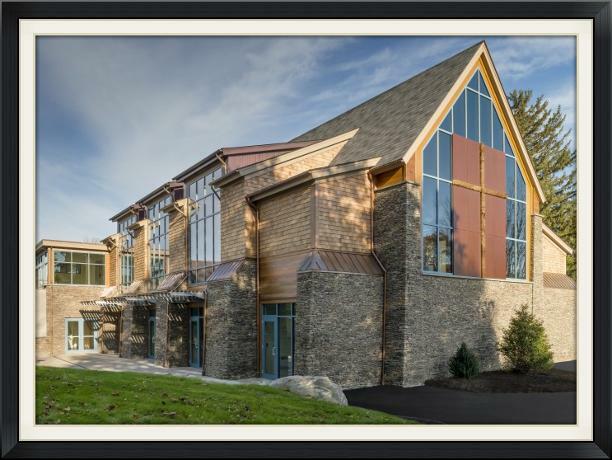 Our center is located inside the beautiful Parish House at 324 East Main Rd, Portsmouth, RI 02871. We are an inclusive, interfaith center for wellbeing in Portsmouth! 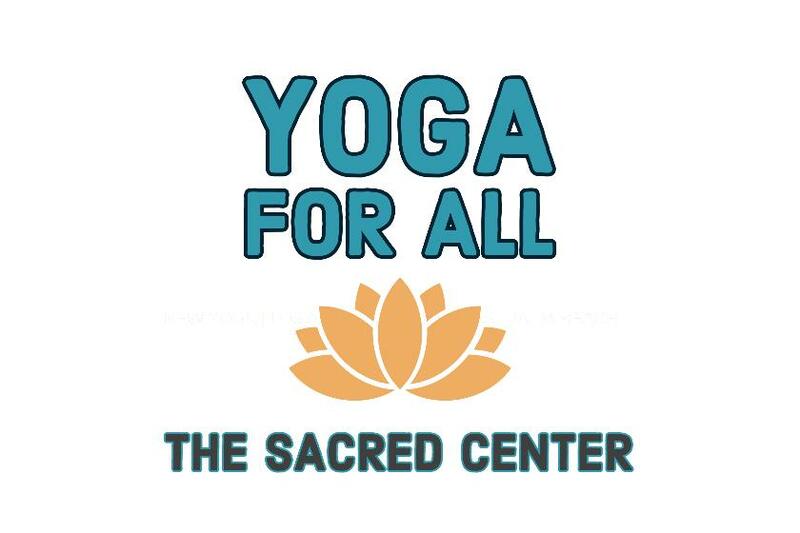 We offer yoga for all ages and abilities, meditation,retreats, dance, spiritual discovery groups, support groups, workshops and much more in a beautiful space welcoming all people, all genders, all bodies. Please have a look around and be sure to visit our class schedule page. 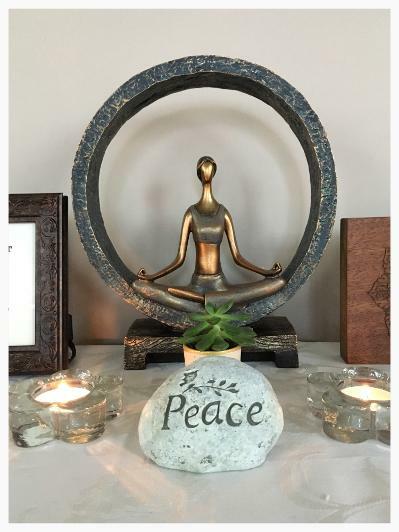 We are always adding new offerings with the sincere hope that you see our classes as a series of “invitations” to step away from your busy life and find support on your journey. 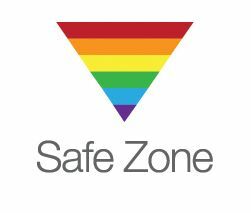 Here you will be welcomed into our atmosphere of kindness, love and acceptance. When you drive onto our picturesque campus you will see the Parish House directly ahead. If you are attending a class or event in the Chapel, please drive slowly around, park in the rear lot and enter where you will likelysee the blue welcome flag. 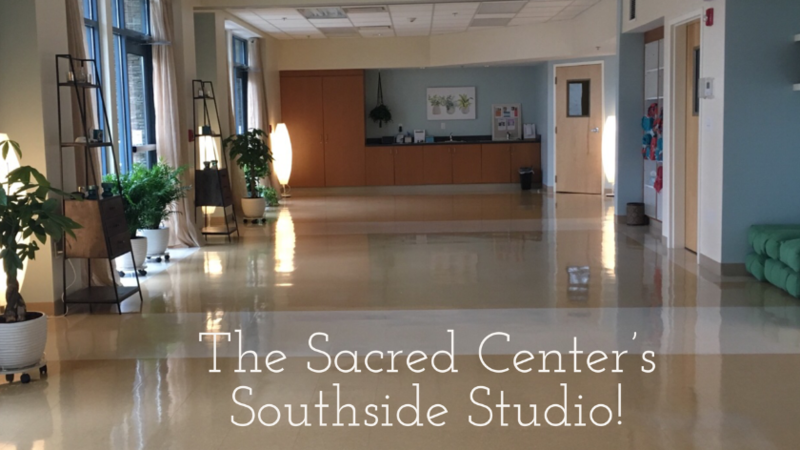 If you are attending a class or event in the Southside Studio on our lower level, you may wish to park in the lower lot, closer to East Main Road, and enter through the ground floor entrance. We look forward to your visit! 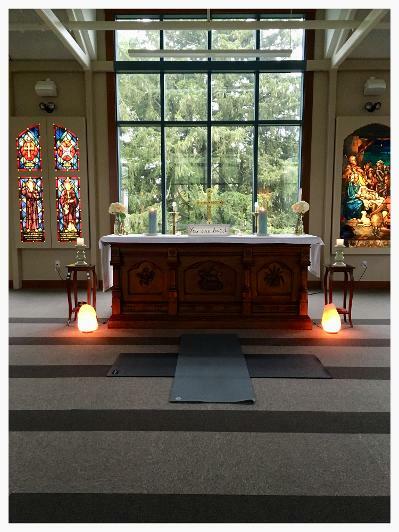 We offer classes in the Chapel as well as in our new Southside Studio on the lower level of the building!